New York, NY - Woodside Hotels, a leading hotel ownership and management firm with multi-generational roots in Northern California, has selected Tambourine to handle website and digital marketing efforts for its portfolio. Tambourine has launched services to eight of Woodside’s portfolio of nine properties. “Tambourine has quickly become an invaluable resource to our organization at Woodside Hotels. Their collaborative approach and acumen in all aspects of digital marketing paired with an ability to keep pace with rapidly evolving technology has helped to position us for both immediate gains as well as long term success,” according to Joshua Hogan, Vice President of Sales, Marketing & Revenue Management. 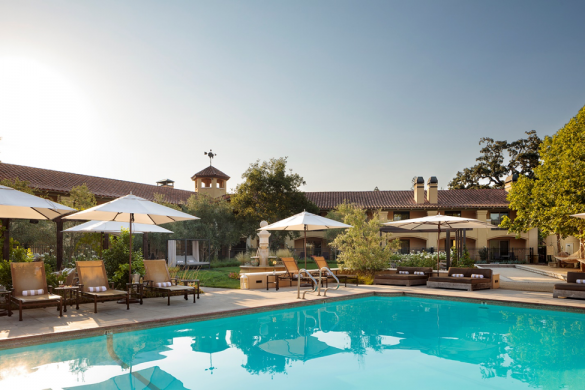 Woodside Hotels is an independent collection of distinguished California hotels, restaurants and spas. We are a family-run business compromised of dedicated and passionate people who take great pride in delivering authentic hospitality and affordable luxury. Embracing the independent and entrepreneurial spirit of our company’s founding, we deliver service that is warm and engaging, hotels that are distinguished, and experiences that are authentically local. Each of our hotels offers a remarkable setting that combines local beauty and inviting ambiance with an array of superb amenities for business and pleasure. As part of the Northern California landscape for over 40 years, we are dedicated to delivering unparalleled service, creating memorable experiences and exceeding expectations.